The first one I watched was After the Thin Man from 1936. It stars Myrna Loy and William Powell as Nora and Nick Charles - a married couple who also are detectives. 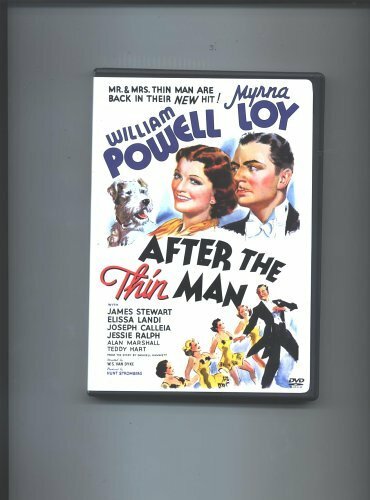 There were 6 movies in the Thin Man series. In this movie they are trying to solve the murder of the husband of Nora's cousin, Selma. The movie is quite funny and has one of the best lines I have heard in a movie. At the beginning, Mr and Mrs Charles are on a train from New York to San Francisco. Nora asks Charles if he is packing. He answers her, as he is drinking, "yes dear I'm packing, packing away this liquor". I love that line. This movies also stars a young Jimmy Stewart as the love Selma left behind. As an added bonus Nora is knitting at the end.